This is a simple text-based search engine for searching the contents of The On-Line Guitar Archive (OLGA). This Beatles Lovers Webring Site is owned by Jon Allen . This George Harrison Site is owned by Jon D. Allen . 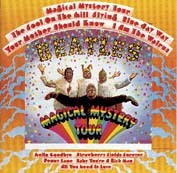 This Magical Mystery Tour Site is owned by Jon D. Allen� _____. This This Glass Onion Web Ring site is owned by Jon Allen. Want to join the It's Been A Hard Days Night Ring?